Finlandia University’s chapter of Alpha Lambda Delta earned the 2018 Gold Award after increasing in size by 56 percent during the 2017-18 academic year. 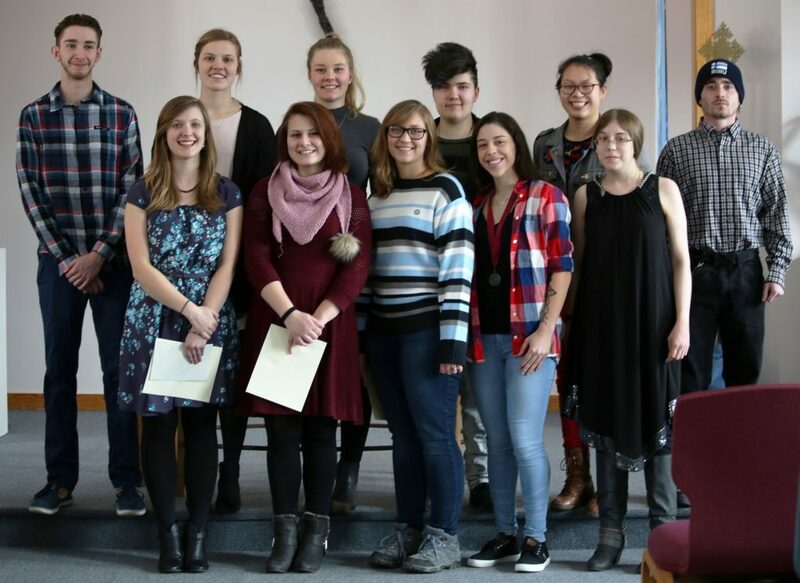 Members of Alpha Lambda Delta during the initiation ceremony in the spring of 2018. Barnett was the founding advisor when the group was founded in 2015. This year Dr. Hilary-Joy Virtanen and Dr. Richard Gee are serving as co-advisors. Students earn a spot in ALD by earning a 3.5 or higher grade point average and being in the top 20 percent of their class during their first year or term of higher education. The National Honor Society for First-Year Success was founded in 1924 and has grown to over 275 chapters, initiating more than 1 million students. Currently the society has over 24,000 active members.